The 16th annual National CANSA Shavathon will be held on Saturday, 2 March from 9am to 4pm on Level 3 at Musgrave Shopping Centre. This year’s theme “Colouring Hope”, drawing on the words ‘colouring’ and ‘hope’, emphasising that a diagnosis is no longer a death sentence. The public is encouraged to donate their ponytail if they can. The volunteers on duty are equipped to accept hair donations that are 25cm and longer, which goes towards making human hair wigs for the CANSA Care Centres and cancer patients undergoing chemotherapy. 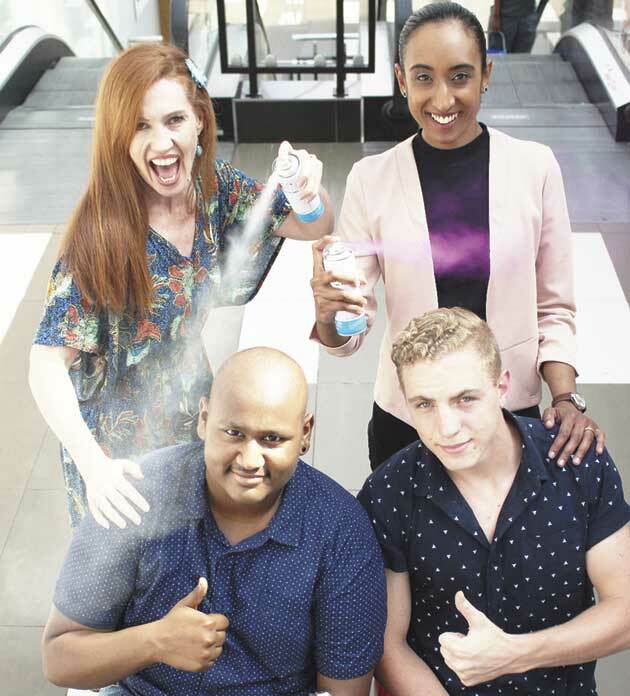 Pictured gearing up for the annual CANSA Shavathon are Janine Kyle, Adeela Haffejee, Liam Reddy who has stage 4 cancer and his supporter and friend, Colin Bode. The Shavathon event started as a way to show solidarity or support for cancer patients, as losing hair is a common side effect of cancer therapy. Participants show support by donating a fee to shave or spray their hair.Adults pay just R50 and children under 12 pay R25 to participate. Funds received go towards CANSA’s care and support programmes for patients, caregivers and loved ones. For more information, contact Musgrave Shopping Centre on 031 277 8420.